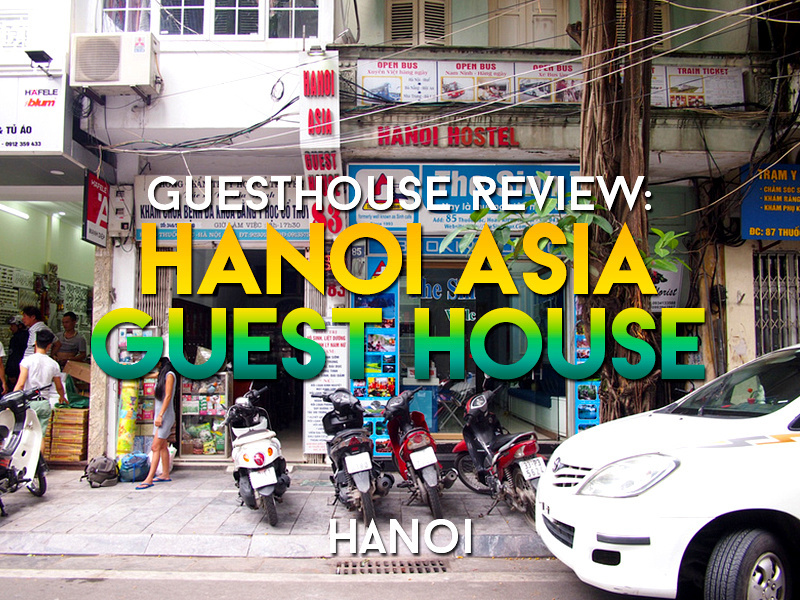 I stayed at the Hanoi Asia Guest House in Hanoi. I booked online at the rate of $10.20 USD per night. 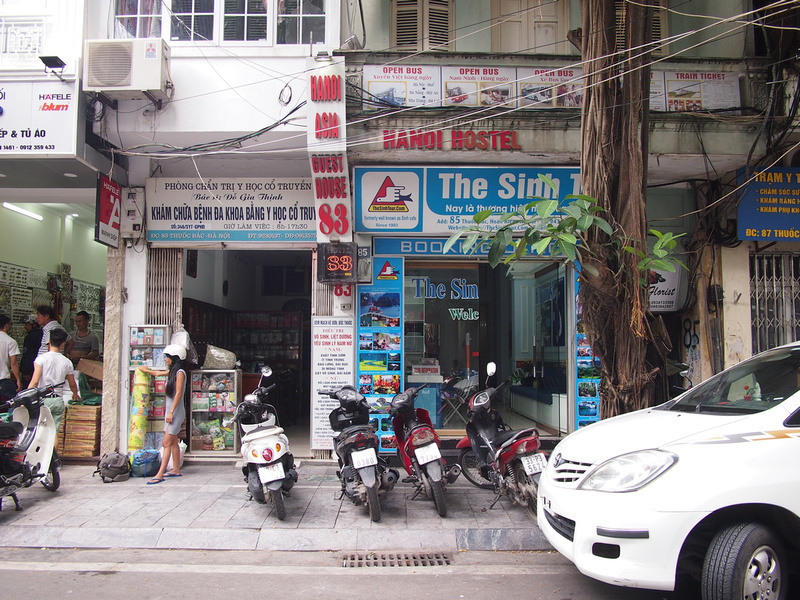 Yes, you can still find 10-dollars-a-night guesthouses in Hanoi. Whenever I stay in Hanoi I usually pick the Hoan Kiem area, which is the old city area by the lake. It’s a fascinating jumble of streets to wander around in. I had not stayed at the Hanoi Asia Guest House before, yet the address felt familiar to me when I arrived. It turns out that I stayed at a place next door, which has since closed. 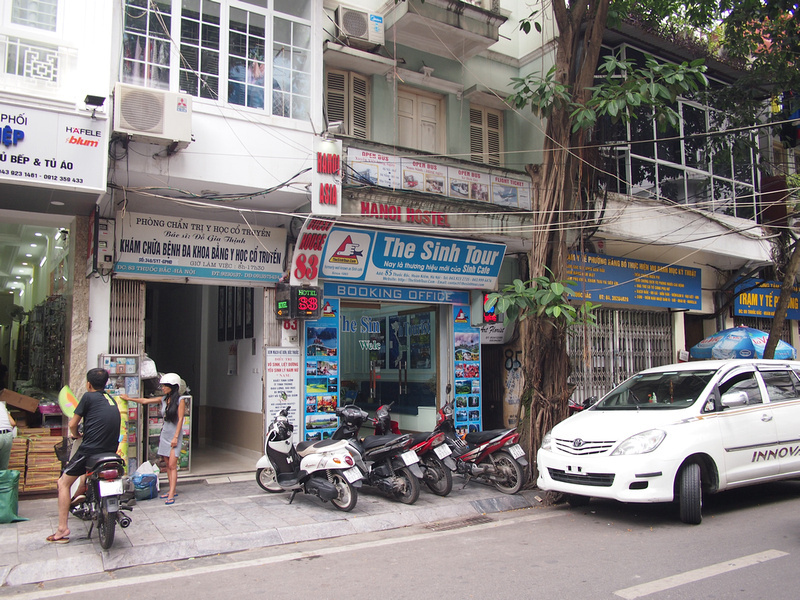 The Hanoi Asia Guest House is a typical Vietnamese guesthouse in a long and skinny building. I was greeted by a friendly receptionist and then shown to my room. There is a lift in the building, which is not always the case in the skinny buildings. 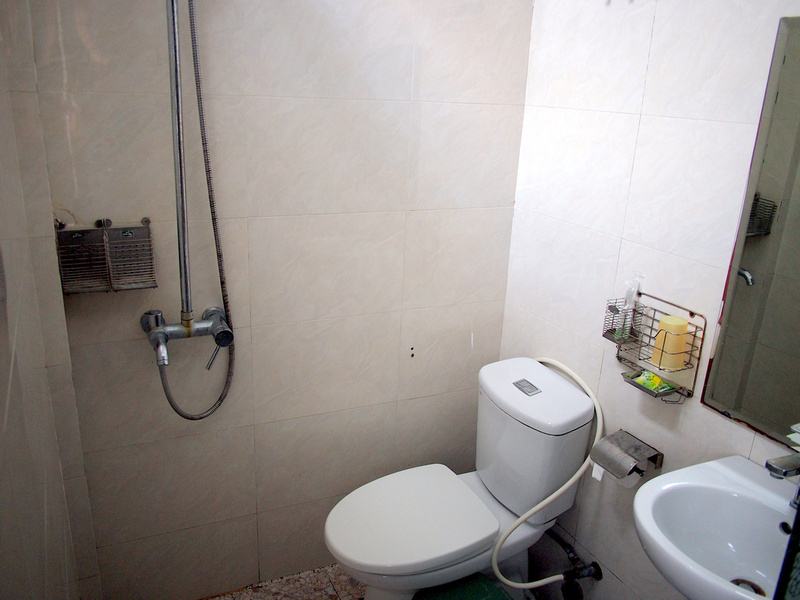 I booked a double room with a private bathroom. My room was like the property and also skinny, so the bed was arranged to the side with the bed facing the door. The room had an air conditioner and fan, and a bar fridge. 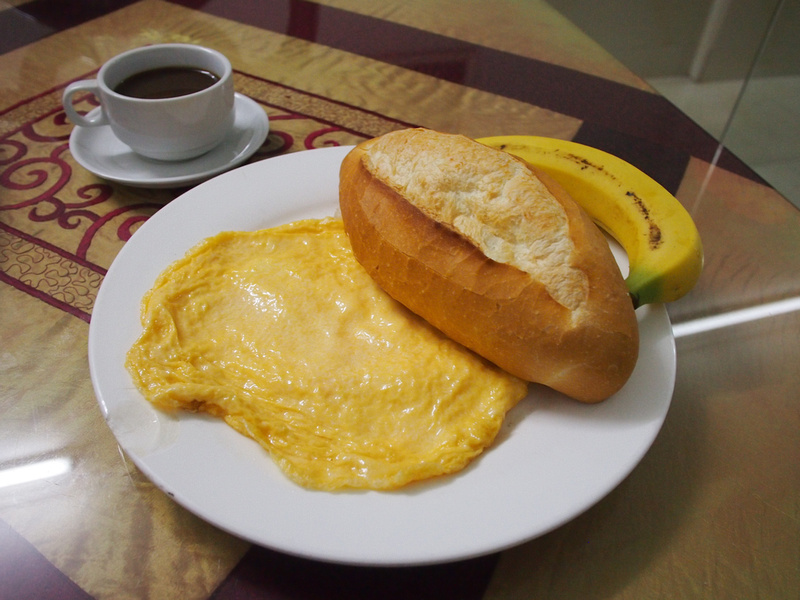 A basic breakfast is provided with a choice of Vietnamese (pho) or Western (egg variety and bread roll), and banana, and tea or coffee. This is what a breakfast in Vietnamese guesthouses looks like. There is free wifi at the hotel and it was easily accessable in my room, with signals detected from three floors. The hotel is on a metal working street in the old city, and there are plenty of food options around here as well. Overall this was an adequate place to stay in Hanoi. 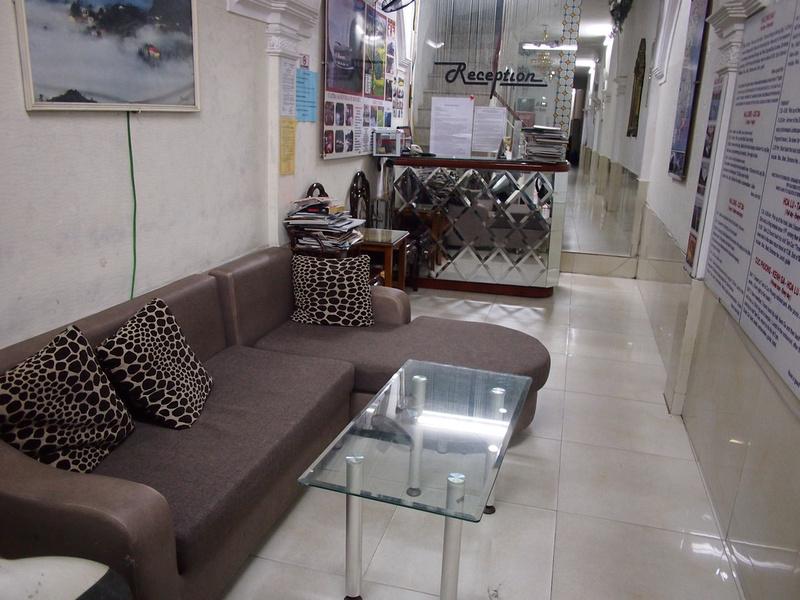 If you are budget backpacking then you can find many places like this in Hanoi offering a comfortable private room. 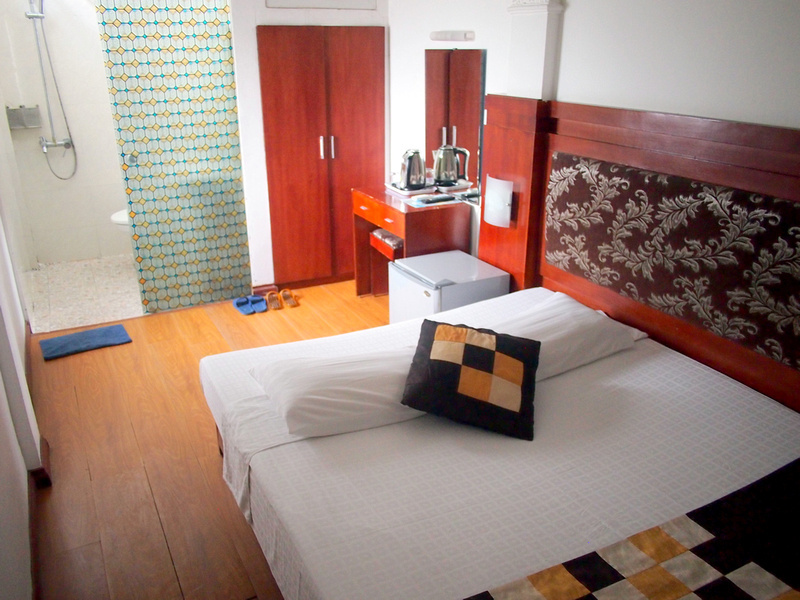 Check prices for the Hanoi Asia Guest House or search for more hotels in Hanoi.